Kenzo’s invitation was a vacuum plastic ‘bag’ with different sorts of dead leaves in it. Kenzo’s catwalk was decorated with what looked like dead palm trees. 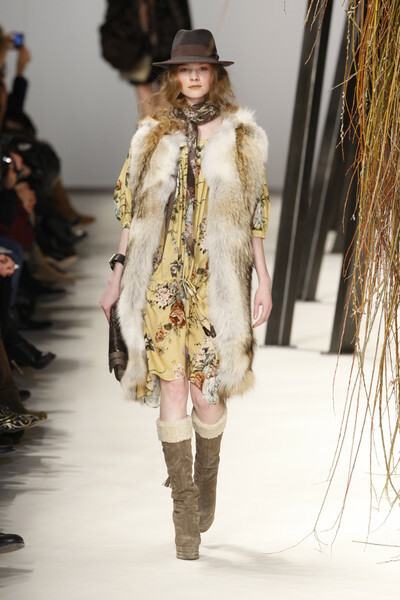 Let’s just say Antonio Marras wanted to make clear he was showing his fall collection for the brand. 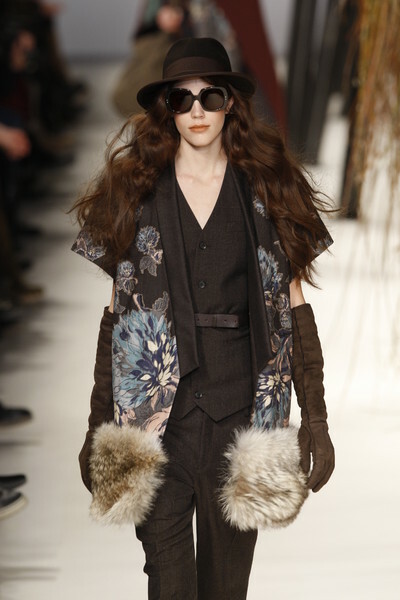 Bourgeois and bohemian styles came together in this seventies inspired collection. Long, wide, dresses were made out of multiple fabrics. 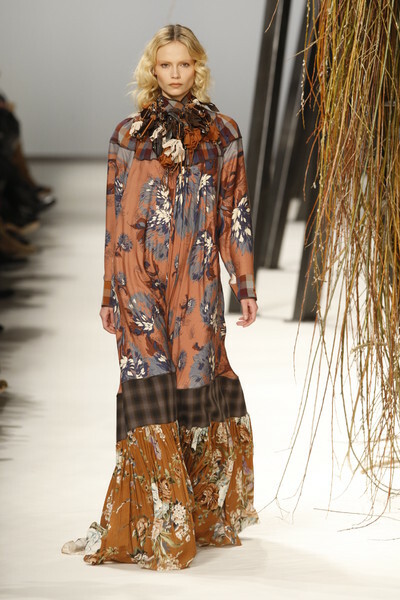 Marras chose the most beautiful floral and graphic prints and let those prints come together in his patchwork designs. The autumn colors (light brown/terracotta, light green, yellow and faded pink) he had picked, looked lovely. 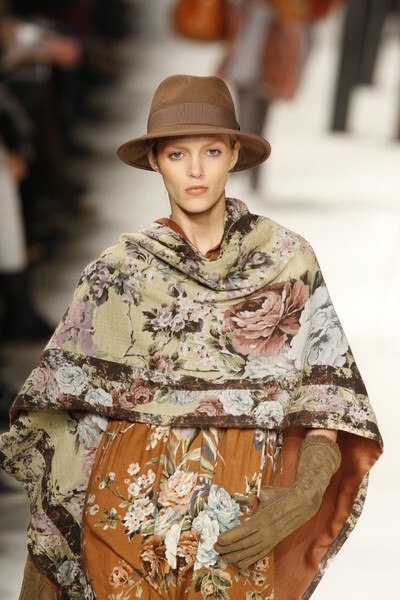 Not only different prints were mixed and matched, diverse fabrics were seen in one look as well. 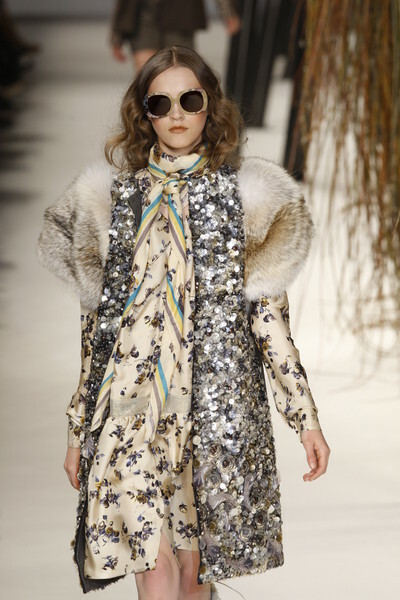 Airy floral dresses were combined with fur and sequined waistcoats. 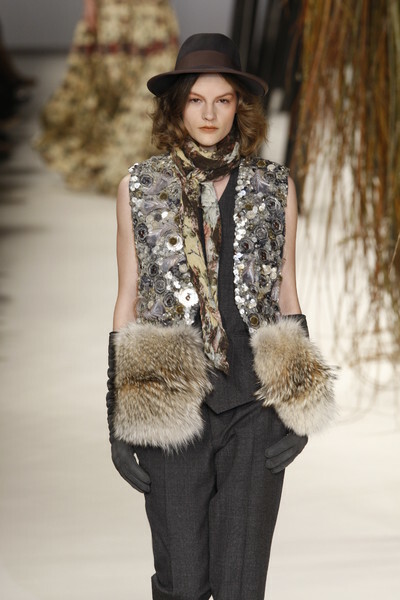 Next to the floral dresses we saw checked versions decorated with bibs of feather creations. They were followed by a few darker, striped designs. The felt hats looked great. 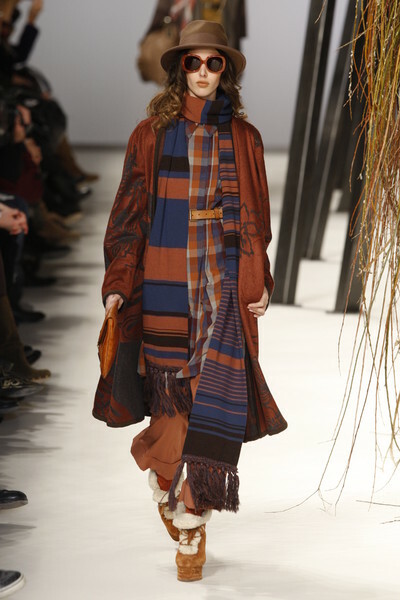 Together with the printed scarves, sunglasses and wegde-soled boots they were the perfect accessories for this boho collection. 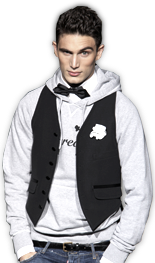 We read Marras mixed the styles of iconic women like Maria Schneider, Tina Chow and Farrah Fawcett for this collection. But we’ve never spotted these women in such outstanding designs before. And although we liked the show, it wasn’t something we’d never seen before at Kenzo.